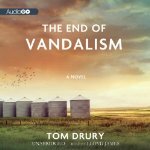 Taking place in and near the fictional and very small agricultural town of Grafton in Grouse County, Iowa, the main story concerns the sheriff, Dan Norman and a bit of his job and his love for and marriage to Louise who works as a photographer. Louise’s ex-husband, Tiny, also figures fairly large in the narrative. When the book opens Louise is married to another man, a man Dan has had to arrest That’s not really a spoiler, it happens early on. But the stories don’t really weave into a singular intensifying plot, rather they just ramble around from one chronological episode to another developing what happens to Don and Louise and a few others as life unfolds in the community. The dialogue and narrative is also very much like small towns where everyone has known each other for a long, long time and “polite” is mandatory or there’s trouble because they have to live with each other. On the other hand everyone seems depressed – either a bit or a lot. The narrator is almost invisible partly because of the realistic dialogue, and there’s a lot of that, and also partly because of short sentences with very few metaphors or tropes. It’s a quiet and somewhat quirky novel often compared to Sherwood Anderson The tone is sometimes comic and other times very sad. The over-riding sense of humor is flat – deadpan. The stories pretty much speak for themselves via the dialogue. These folks are not terribly expressive and I know that from experience in a small town in North Dakota.